* Bring your registration receipt, NRIC or Passport as proof of registration - printed copy or soft-copy on mobile phone also acceptable. * You can also ask your friend to collect on behalf by passing him/her your registration receipt. * There will be NO collection held on the start venue. Unclaimed race pack shall be forfeited. * The organisers will try to fulfill the t-shirt sizing indicated by participants on the entry form. However it is not a guarantee that participants shall be provided the “correct” sizes if any discrepancy occurs that is out of the organisers’ control. * There shall be no size exchange allowed during the collection day. 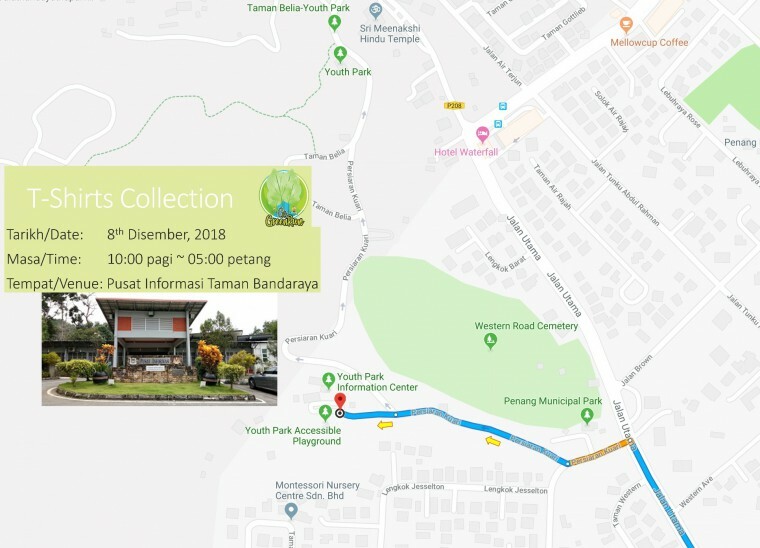 * Please bring along your own recycle bag for group collection. Go Green! * Participant who completed the run with ONLY wearing event T-shirts will be given the Murraya Paniculata plant each.